Our client wanted to update their dining chairs to a stunning new look in coverings and colour. This was achieved on both counts by using red leather. 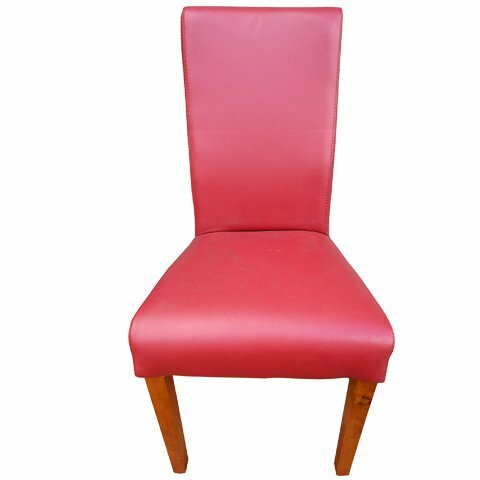 The red dining chairs upholstery was completed in beautiful leather supplied by leading leather supplier, Shann Group. With reasonable care, this high-grade leather will last twenty or more years. We recommend using a leather care kit to maintain the leather. It is important that your leather dining chairs are properly cleaned, nourished, moisturised and protected for long-term life and enjoyment. Please contact us for a quote to update your dining chairs.